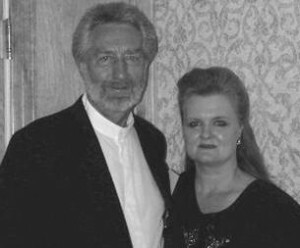 Biography: Wayne and Anna Ostermann bring over 40 years of ministry experience including nearly every aspect of serving, pastoring, teaching, leadership and developing buildings and land. They have considerable business experience and have pastored churches in Colorado and Rhode Island. Wayne has traveled to Africa, India, Japan, Hong Kong, Thailand, Haiti, Europe, the UK, and the former Soviet Union to minister at churches, conferences, Bible schools and crusades. As part of their apostolic call, they have been used to bring healing and unity to strife-torn churches. They have helped various churches to work and network together in advancing God's Kingdom. They encourage, strengthen, teach, and train leaders in the Body of Christ. Future plans include a ministry center in the Colorado mountains, which may change to include Hawaii, where Christian leaders and their families can come for healing, rest, encouragement, direction, refreshing and re-firing. Plans also include a resource center for ministries. Strengths: Wayne and Anna are particularly gifted with Godly wisdom having walked through many of life's experiences and have the ability to work with all types of leaders, assisting them to reach their full potential in Jesus Christ. They are called by God to lead His People in Triumph. Family: Wayne and Anna have four daughters (one daughter transferred to heaven in June 2009) and eight grandchildren.